BOCA RATON, FL — Boca Raton Football Club will look to make it two in a row this weekend as they travel to Central Broward Regional Park to face Storm FC on Saturday evening. 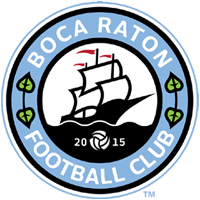 After coming off an exciting 3-1 victory against Naples United, Boca Raton FC looks to make it two wins in a row. The team has 3 points for the season and is currently tied for 5th place in the Sunshine Conference. The team had a strong offensive force in their last game and look to continue putting pressure on their opponents. In their first game of the season, Storm FC gave up nine goals to Miami United and are currently sitting in last place in the Sunshine Conference. Previous History: This will be the first time these two teams meet this season. Storm FC took a hiatus from the NPSL. Matheus is a forward with Boca Raton FC, he is local to South Florida being born and raised in Ft. Lauderdale. He played with Lynn University while receiving an Associates Degree in Mass Communication. In his Junior year of college he played in 10 games and scored 3 goals for the season. He was able to record one assist and 11 shots on goal. He helped give 7 points to the Fighting Knights to close out his last season.